There are 770 lakhs registered individual taxpayers as per CBDT (Central Board of Direct Taxes). Individual Taxpayers always in worries about the burden of Direct Taxes. There are numerous provisions under the income tax act 1961 which provide the Tax relief to the different type of assessee whether by way of Exemptions or deductions from total income. Popularly known section for deduction is sec 80C of income tax, it provides the deduction of Rs.1, 50,000 to Individual or HUF. 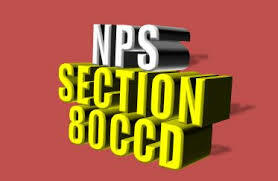 There are some other sections which provide the deduction to individual or HUF Assessee out of that Section 80CCD – National Pension Scheme is one of them. An amount under the pension fund scheme can be contributed by both employers and employee himself. If Employer contributes any amount in pension scheme on behalf of such employee then such amount shall form part of salary and then allowed to be deducted. If self-Individual contributes any amount towards the pension scheme of central government (National pension scheme) then such an individual could avail the deduction up to 20% of gross total income. Note: – As per finance act 2015 assessee can avail an additional deduction of Rs.50,000 on the amount contributed by it. 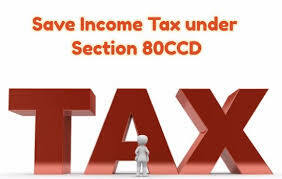 It means in both the cases an assessee can avail the total deduction of Rs.2, 00,000 under section 80 CCCD. Latest amendments to Life insurance policies eligible for deduction U/s 80C. This entry was posted in Income Tax and tagged Deduction under chapter vi, Income Tax updates, Section 80C, tax saving through investments.